I am very traditional person when comes to supposedly traditional events such as weddings, and I've always thought that bridal wedding gowns should be white at most ivory in color, until I see Rami Kadi's fall 2014 collection of wedding gowns. Picture source: The Wedding Notebook. 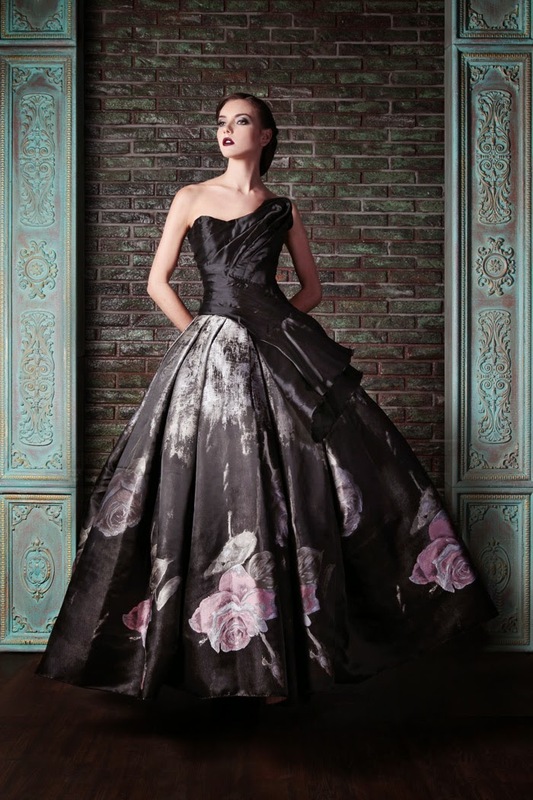 Born in the US and raised in Lebanon, Lebanese designer Rami Kadi’s passion for designing was obvious very early on. What attracts me very much was his intricate couture designs, his attention to luxurious handmade details and his impeccable craftsmanship. His rise to an elite circle of couture designers was astonishingly quick for someone his age and in May of 2011. I will be blogging more of his pieces for coming few days, which includes his red, ivory, navy and emerald series of wedding gowns, those could be great inspirations for you when you propose and design bridal accessories to your prospects, so do check back!